Africa is huge. As the second largest continent, it is four times the size of the United States (excluding Alaska). Angola, in turn is also large, the seventh largest country in Africa. At about twice the size of the state of Texas, it covers more than 481,354 square miles spread across coastal lowlands, hills and mountains, and the great plateau. Angola is home to approximately 100 ethno – linguistic groups. The most prominent of these groups are the Ovimbundu, the Mbundu, the Bakongo, the Nganguela (Ganguela), and the Lunda-Chokwe. From such a large melting pot,and so many influences, it is only natural to expect much diversity in culture. Angola doesn’t disappoint! Join me as I share with you my “unofficial guide” to the culture and customs of Angola. Over several installments I will deal with a distinct aspect of Angolan Culture: Art; Literature; Cuisine; Religion; Customs and Music. To begin an exploration of Angola´s culture and customs we need look no further than Luanda, Angola’s largest city and main social and cultural center. The sensuous dance, Semba, was born here. Semba gets its name from “Masemba”, meaning “a touch of the bellies”, the motion that characterizes this type of dancing. Semba music is capable of conveying a broad spectrum of emotions and, therefore is heard at a wide variety of Angolan social gatherings. In the late 80s producers began to mix traditional carnival music like zouk and soca from the Caribbean and semba around a fast beat, producing the “Kuduro” style. A very popular example of this style of music is the popular “Danza Kuduro” music video (by Lucenzo and Don Omar ) on YouTube, which has over 300 million views! Perhaps you have seen it too? Luanda´s cultural importance doesn’t end with music though. It has much, much more to offer! Visitors can view impressive collections of African arts especially Chokwe masks and sculptures. 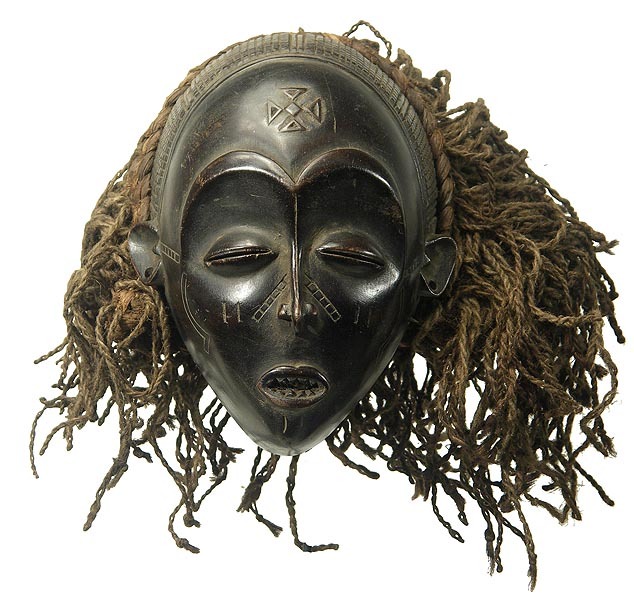 To me Chokwe masks are particularly interesting. They symbolize various ancestral beliefs and were used during rites of passage circumcisions, fertility and puberty rites. Chokwe art much appreciated in many western countries and is often found on display in major art museums and galleries in Europe, the United States, and Japan. In Luanda such pieces can be viewed are the Humbi-Humbi Gallery and; the Museu Nacional de Antropologia (National Anthropology Museum). Other galleries in the city are Galeria Cenarius, Espelho da Moda, and Galeria SOSO-Arte Contemporânea. The Museu do Dundo (Dundo Museum), in the northeastern province of Lunda Norte, has been in existence since the colonial era. It houses one of the finest collections of Chokwe art found anywhere in the world. More contemporary museums located in Luanda include the Museu de Angola (Museum of Angola), the Centro Cultural Português (Portuguese Cultural Center), the Museu Nacional de História Natural (National Museum of Natural History), and the Military Museum (housed in a historic fortress). Another popular museum, not dealing specifically with Art, is the Museu da Escravatura (Museum of Slavery). This museum, supposedly located at the very place where African captives were kept before being shipped to New World! The museum preserves the unfortunate history of the Atlantic slave trade on the Angolan coast. In January 2005 the Minister of Culture, Boaventura Cardoso, called for special attention to the restoration of monuments and historic sites in Angola. This will ensure that Angola’s culture and customs will thus not be forgotten. Join me soon, for Part 2 in which I will delve more deeply into Angolan Art and Architecture, focusing primarily on Chokwe influences.